ISO 9001:2015 is now available! In order to keep standards current and relevant for the marketplace, all ISO standards are reviewed approximately every five years whether to withdraw, revise, or confirm them. Some of the key updates in ISO 9001:2015 include the introduction of new terminology, restructuring some of the information, an emphasis on risk-based thinking, improved applicability for services, and increased leadership requirements. To help prepare and adjust your organization to the new requirements, ASQ has made available supporting products such as training programs, case studies, and articles. Access the ASQTM TV Standards Channel Video Library featuring ISO experts, the ASQ Standards e-newsletter, and ASQ Standards Central on asq.org. ISO 9001:2015 is available in three formats: published hard copy, PDF e-standard for immediate download, and site license for posting an electronic version to your Local Area Network or Intranet. This document provides the fundamental concepts, principles, and vocabulary for quality management systems. Members receive a discount—20 percent off the retail/list price—by buying the American National Standard (ANS) version through ASQ. The ANS is identical to the ISO version. In March of 2012, countries from all over the world voted and began the process to revise ISO 9001. Organizations must re-certify to ISO 9001:2015 within three years. This means that organizations have until September 2018 to migrate their quality management system to the 2015 revision. Excellent – of all the articles I have read – this series was the best!! Agree on the inclusion and focus on risk-awareness and management of risk are hidden treasures on the road to performance excellence even when other quality practices are mature in an organization. Extremely informative and relevant given the anxiety regarding the changes seen. Want more details on the changes? 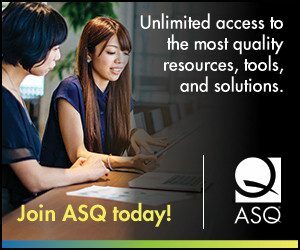 Visit asq.org for a variety of resources! Hello. I’ve got to express gratitude how the piece of writing is actually impressing us a whole lot. Keep on undertaking everything you usually are working on.